DESOTO—The Texas Department of Transportation, police departments, and sheriff’s offices across the Lone Star state are working together to reduce impaired driving during the upcoming Independence Day weekend. From June 24 through July 5, hundreds of local law enforcement agencies are participating in the annual Drink, Drive, Go to Jail campaign to crack down on drunk driving on Texas roads. Law enforcement statewide will be working overtime to find and arrest impaired drivers, through the holiday weekend. Throughout this period, the Desoto Police Department will deploy specified patrol units on city streets, and Interstate Interstate-35 East, to aggressively locate and arrest impaired drivers. Officers will also be prepared to secure search warrants to obtain blood evidence related to these offenses. According to the Texas Department of Transportation in 2015 there were 939 drinking related deaths on Texas roads. Of which 27 occurred during the enforcement period statewide. Convicted first-time DWI offenders can pay a fine of up to $2,000, lose their driver’s license for up to a year, and serve 180 days in jail. Safety officials say other costs associated with an impaired driving arrest and conviction can add up to more than $17,000 for bail, legal fees, court appearances, court-ordered classes, vehicle insurance increases, and other expenses. Of course, the consequences of driving under the influence can be much worst. In 2009, there were 27,108 alcohol-related crashes in Texas that resulted in 955 deaths and 17,542 injuries (preliminary data). In 2008, 25 percent of people killed in alcohol-related crashes in Texas were between the ages of 20 and 25. Also that year, more alcohol-related crashes occurred between 2am and 3am than any other hour of the day. To get the word out, TxDOT is running new television spots, radio ads, billboards, wall postings, web and mobile phone ads along with targeted messages in major market bar and restaurant districts. Traditional and alternative media efforts will raise awareness of the consequences of a DWI conviction and the alternatives available to Texans: calling a cab, designating a sober driver ahead of time, using public transportation, staying put, calling a friend or family member for a ride, taking a pedicab, and more. 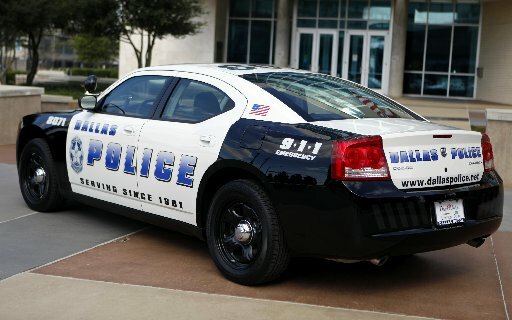 TxDOT is also illustrating the choice between getting a sober ride or risking a DWI by driving after drinking through the use of “Cop/Cabs” —unique vehicles that are a police patrol car on the front end and a taxi cab on the back end, emblazoned with a sobering Choose Your Ride message. The Cop/Cabs will serve as mobile billboards for the “Choose Your Ride” message, incorporating modified patrol cars from police departments and sheriff’s offices in communities with a high incidence of alcohol-related fatalities. The National Highway Traffic Safety Administration, the Texas Department of Public Safety, the Texas Alcoholic Beverage Commission and Mothers Against Drunk Driving are partnering with TxDOT and law enforcement in the Drink. Drive. Go to Jail campaign.